A step-by-step guide to cruise insurance, what it covers, and if you need it. Note: We are an affiliate with the travel insurers mentioned in this article. We receive a small commission if get a quote through the links included in this article, at no extra charge to you. You get sick after eating the local food, leading to two days in the hospital. You get pickpocketed in a crowded market, and the thief takes your passport. You miss a connecting flight, meaning you have to unexpectedly pay full price for a hotel room. The list is endless of what could happen. But they all share one major theme. They can ruin your vacation and potentially cost you hundreds — if not thousands — of dollars. These mishaps can be compounded when you are on a cruise. With a cruise ship’s tight schedule, any delays could cause you to miss the boat. Of course, that means having to purchase lodging, transportation, meals, and more while you try to make arrangements to get back home or catch up with the ship. Worst yet, medical emergencies aboard a cruise can rack up serious bills. What happens if a major illness hits while the ship is in the middle of the ocean? While cruise ships do have doctors to administer first aid, the expenses of emergency transport for serious emergencies can be astronomical (upwards of $20,000 or more). It’s for these reasons that cruise insurance has become a major interest among passengers. To be absolutely clear, the vast majority of cruises go off without a hitch. Still, there is something to be said for having a little peace of mind and not having to worry just in case something does go wrong. Travel & cruise insurance is made exactly for that purpose. By purchasing this coverage you are covered for a wide range of events (many detailed below) that could cost you thousands of dollars without insurance. Of course, in exchange you have to pay a premium — money out of your pocket for a service that you might not ever use. That leads to a big question: Should you buy cruise insurance? Is it worth it? To decide if it’s the right choice for you, we’ve researched all the ins and outs of cruise insurance to help you out. What does cruise insurance cover? Every policy is slightly different; there is no set requirement of what is covered. That said, you’ll find most cruise insurance covers the same basic things. Here are the major items that you’ll want to make sure your policy covers. Trip Cancellation – The most basic coverage with cruise insurance, trip cancellation protection allows you to get your money back that you’ve paid for your trip if you cancel for specific, predetermined reasons. This coverage doesn’t allow you to get repaid if you just decide to cancel because you don’t want to go. Trip Interruption – Similar to trip cancellation, this coverage pays you for an interruption for specific reasons like the ones mentioned above after your trip has already started or when travel is delayed. In addition to being reimbursed for the remainder of what you’ve paid for your cruise, you’ll also be reimbursed for expenses like flight and hotel to get back home. Emergency Medical – If you’re worried about getting sick or injured while on your cruise, then know that most plans offer emergency medical coverage. This is exactly as it sounds. It provides medical insurance for serious illness or injury. Many plans also offer some dental coverage. Emergency Evacuation – Nearly every plan will have some sort of emergency evacuation coverage. This is coverage to get the person to the most appropriate medical treatment (often as defined by the insurance company). So if you break your leg while on an excursion in Mexico and have to be transported to a larger city for the correct care, then your expenses are covered. Emergency evacuation coverage also pays to get you home if you are in a medical facility away from home. Lost/Stolen Luggage – Most of the time lost or stolen luggage isn’t so much about the money as the pain of having to replace everything. Even so, cruise insurance should provide some reimbursement expense for your loss, taking some of the sting out of losing your bags. Understand that most times this coverage has special limits for things like laptops or electronics that may not fully replace the lost item. Pre-Existing Condition Coverage – Most of us know that insurance is hesitant to cover pre-existing conditions. Travel insurance often will offer pre-existing condition coverage (but not always! ), which is especially helpful if believe you’ll need some sort of coverage while in a foreign country for an on-going illness. If this is important to you, make sure you double check the specific policy, which will make it very clear if pre-existing conditions are covered or not. What doesn’t cruise insurance cover? Cruise insurance actually covers more things and offers more benefits than just what is listed above. But it doesn’t cover everything and policies are pretty specific about what they will and won’t pay. The most notable exception is that you can’t just cancel your cruise for any reason and get reimbursed for any money you lose. Instead, the only way the policy will pay is if you cancel for one of the specific reasons cited in your policy for cancelling your cruise. You also won’t be compensated for inconveniences on your trip. For instance, if your trip doesn’t go as planned, but you don’t suffer an actual loss, then you won’t be able to make a claim. If it pours rain an entire day that your ship is in port and you can’t even get off the boat, your travel insurance won’t cover the loss of a day of vacation. Weather is not covered unless it causes an actual interruption to the cruise. Also, it’s important to understand that your benefits are less any refunds you might receive otherwise. So if your cruise is cancelled and the cruise line refunds your fare, you won’t be able to claim the cruise fare as a loss. Some policies allow you to add coverage to your insurance that allow more flexibility and benefits. The most popular addendum is known as “Cancel for Any Reason” coverage. This addendum allows you to cancel your trip and receive reimbursement, no matter why. So if you simply decide that you don’t want to get out of bed the morning of your cruise and call the whole trip off (not sure why you would do such a thing! ), then you can cancel and get your money back. One important thing to note is that these policies rarely give 100% of your entire trip fare back. It usually ranges from 50-75%. Still, considering that you get nothing back if you cancel for a non-covered reason, this additional coverage is often worth the cost. Many cruise travel insurance policies will also offer an addendum for rental car coverage. 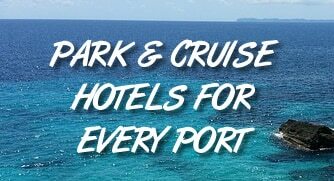 Obviously most cruise passengers won’t opt for this coverage since it’s rare to rent a car given that you are in port only for a day at a time. What about insurance sold by cruise lines? These plans are quite popular because of their ability to be sold right alongside the cruise. However, that doesn’t make them a good purchase. While convenient, these plans usually offer much lower coverage rates than traditional travel insurance, for a similar price. The one advantage that cruise line plans have is that they typically offer cancel for any reason coverage. Royal Caribbean’s plan, for example, will reimburse you 75% of what you’ve paid for your cruise if you cancel for any reason. Regular travel insurance also has this sort of feature, but it’s typically an additional add-on (but will also cover other things like flight/hotel). For these reasons, we suggest sticking with traditional travel insurance from a third-party instead of the policies offered by cruise lines. What time period does the insurance cover? While you should check with your specific insurance policy, they usually go into effect at midnight of the day after you purchase them. They then stay in effect until you return home from your trip. Example: You buy cruise insurance at 6 p.m. on December 1 for a cruise that departs December 20 and returns December 27. Your coverage would be from in effect from midnight on December 2 until you return home from your cruise. How do I Buy Cruise Insurance? As mentioned earlier, if you are buying through the cruise line, you can purchase coverage at the same time that purchase your trip. You can also purchase at a later date by visiting the links below. You can get a free quote here, see how much coverage might cost, and see everything it covers. When should I buy cruise insurance? The best time to buy is as soon as you’ve purchased your cruise. This allows you all the cancellation benefits immediately should something come up between the time you purchase and the time you actually travel. One thing to note is that you can’t purchase after you already have an event that will lead to a loss. For example, say you get hurt in an accident that means you won’t be able to go on your vacation. You can’t purchase insurance and then try to be reimbursed for your trip. This is insurance fraud and the company won’t provide reimbursement. Ah, the most important question. After all, every type of insurance is basically a bet between you and the insurance company whether something will happen on your trip. Prices will vary based on company, trip length, cost, who is being covered, and the sort of coverage you choose. Most companies also offer different levels of plan that have different limits and thus, higher or lower prices. As a general rule of thumb, traditional cruise insurance offered by a third-party will run about 5%-7.5% of your trip cost. So for a $5,000 trip, expect to pay around $250-$375 for coverage. If you want to have some peace of mind on your trip, then yes. However, the vast majority of cruise passengers will never use their insurance. The problem is that for issues that do come up, the expenses can be large and unknown. For instance, there is no price list of having to be evacuated medically from a cruise ship. The cruise insurance offers valuable peace of mind. If you do decide to purchase, we highly suggest that you shop around for prices and also read your plan carefully (comparing two or three of the most well-known providers). And while every cruise line strongly recommends purchasing some sort of insurance for your cruise, we don’t recommend purchasing insurance offered through them, as traditional plans offer better coverage for a similar price. Again, for cruise travel insurance, we suggest AIG Travel Guard. We’ve personally used the coverage on our past cruises and have been happy with the value. The premiums are reasonable and the insurance covers many of the common issues that can come up on a cruise. Disclaimer: Cruzely.com is an affiliate with the travel insurers mentioned in the article above. We receive a small commission if you get a quote through the links included in this article at no extra cost to you.